Discussion in 'General Chat' started by lychee, Apr 15, 2019 at 6:25 PM. This topic has been on my mind for some time (lychee likes imagining game design, okay? ), so maybe somebody can help me. How much delta-v can you get from a rocket engine like this? How high does the fuel energy density need to be to power this engine? The way I have this conceptualized is that the rocket engine is a particle accelerator that ejects mass (lets use hydrogen for simplicity) at velocity v where v is close to the speed of light. I’m assuming energy is converted perfectly so the energy required to accelerate mass is naively related to the kinetic energy of the ejected material (albeit my understanding of relativistic physics is poor). Let F be the fuel source with mass m that provides the energy for this engine. Let P be the propellant with mass p that is ejected by the rocket engine. Curious about what kind of mystical fuel source this engine would require, and whether this type of engine would be sufficient to drive large spaceships that you see in science fiction. Moonpearl and OnceandFutureLurker like this. Does your rocket reach the speed of light instantly or does it reach it gradually? Alt + F12 open the cheat tab check infinite fuel and infinite electricity. Your ship is basically has infinite deltaV. In theory regular engine could go into near speed of light. While we currently are unable to generate anti-matter in large quantities ( IE : Only at the level of single atoms ) it should give you an good ideea. In theory if you can find matter/antimatter scattered here & there, then you get a Δv close to infinity, but never getting to c, but anyway at those speeds, you`d be torn to shreds by crashing into single atoms wandering the universe ... and i`d say that is a bigger problem. 1 gram of matter , e=mc2 = 8.98755179E+13 Joules. The rocket doesn't reach the speed of light instantly. The prompt specifically says that the exhaust velocity of the engine (a linear accelerator) gets close to speed of light, which doesn't mean that the rocket itself will fly at the speed of light. Here we see a particle (with mass dm) ejected from the rocket at at velocity ve (which is some very high speed). 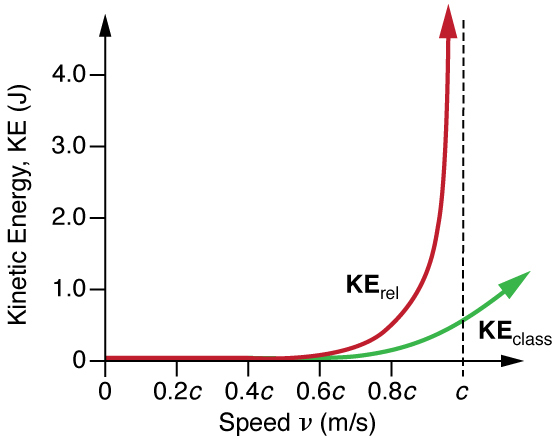 However, even if ve is ejected at close to the speed of light, dv (the change in velocity of the rocket) isn't necessarily so fast depending on the mass of the rocket. I did some more calculations regarding the amount of mass a fantasy spaceship would want to dedicate towards propellant fuel. A Yamato-class battleship weighs 70,000-72,000 long tons (71123284-73155377 kg) and has a 6,300 tons fuel oil (5715264 kg) with a final ratio of ~0.08. A 2012 toyota camry has a ratio of around 0.05. For arguments sake, let's say that the typical fantasy imagining of a space vessel (which in Japan was inspired by the naval vessels) carry around 10% of their mass as fuel. Which is a very generous amount (in terms of travel inside the solar system). So the followup question to this is the amount of energy required to power an engine like this. It actually takes an infinite amount of energy to accelerate something to the speed of light, so it's necessary to pick a practical limit at some fraction of the speed of light. So let's pick 0.8c as an arbitrary exhaust velocity. To use Star Wars as our fantasy index case, an Imperial Star Destroyer weighs around 40 million tons (36,287,389,600 kg). 10% of which (propellant) is 3,628,738,960 kg. To accelerate this propellant to 0.8c, the kinetic energy associated is 217423195505603583778883627 J. This can be thrown into E=mc2 to roughly estimate the amount of mass associated with this energy which is 2,415,813,283.4 kg (2.6 million tons). This comes out to another 6.5% of mass fuel for energy too. I think for space ships it's reasonable to set an exhaust velocity at 0.8c. Of the total mass, take 10% as fuel for propellant and another 10% for engine energy. This is all ideal case though. Actually, what I am about to say might sound weird and strange and literally crazy if not stupid but since you are imagining a fictional setting for a game , why don't you change (make few hypotheses on a fictional basis , since this is just a fictional setting perhaps thinking 'outside of the box' could help a bit for better results ) a few things in this rocket? (although, I think that there are real studies assuming different cases like a disc shaped spaceship and such and studies about an inexhaustible power source and special kinds of fuel, etc..., but some remain as theories as current techological 'advancement' aren't enough and some were dropped because of being scientifically impossible(insane and maybe idiotic? ), and some because they are financially inadequate and remain in the emulations and simulations ), however, for a game I think theory is possible to make.